Many Bloggers write very good SEO optimized articles but are unable to find the right way to publicize their blog to the potential readers. Not making a background for your blog can have a harmful impact on your blog Page rank. If you publicize your blog to the wrong audience. First of all even before you start your blog create a face-book page and collect a fair amount of people who like your topic and can be a potential reader to your blog. As you all know Facebook is the most visited website in entire world so it’s the best place to start your blog publicity. After the success on Face-book you can use twitter to increase your follower. 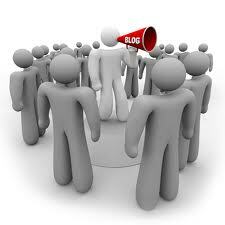 As every blogger want that people would follow their blog for updates. This also helps to create a big fan base for your blog. Making your blog more presentable with pictures and social media link will make easy for the visitor to quickly share your best article on social website like face-book etc. This will attract more visitors to your blog/website. Its Good To promote your blog but its important that you do it in the right way. Many website owners sign up for some website which give them so called web hits that is not good as they are not real visitors just someone who also what to increase their web hits. So this you should never use. One More way of promoting is by commenting on other blogs of your relevant niche, this also helps you to create a good quality back-link from that site. This back-link helps your website or blog to grow even more bigger. As we all know success never come overnight so you have to give time to your blog to be crawled by Google. And let me remind you here that your blog or website if not a .com site will take time to appear in the Google Search. SEO Strategists recommends press releases as there are lot of Advantages of Publishing Press releases. They also helps in indexing of Blogs faster and better way.